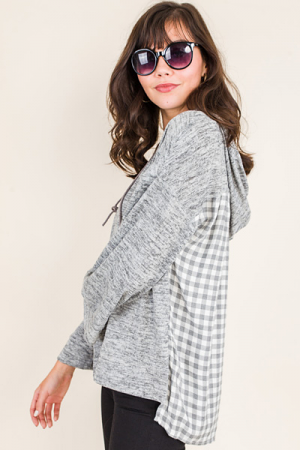 You'll want to live out all your days in this comfy, cute hoodie! It is leggings approved with the softest faux fur on the outside, and a smooth, lighter knit on the inside. Also features cuffed sleeves, a banded bottom, and adjustable draw strings.